Mark is a Chartered Accountant with over 20 years’ experience in developing resource companies. He was a founding director of Gilt-Edged Mining Limited which discovered one of Australia’s highest grade gold mines and was managing director of a public company which successfully developed and financed a 2.4m oz gold resource in Mongolia. He also co-founded a 3million oz gold project in China. Mark was most recently Chief Executive Officer of Adamus Resources Limited and oversaw its advancement from an early stage exploration project through its definitive feasibility studies, and managed the debt and equity financing of its successful Ghanaian gold mine. He also serves as Non- Executive Chairman of Canadian explorer, Coventry Resources and a Non-Executive Director of Geopacific Resources Limited. Mark is a chartered accountant with over 20 years of corporate finance and resource business management experience. He served as manager in the corporate division of Arthur Andersen and subsequently in the establishment and management of a number of successful ventures as principal, including resource companies operating in Australia and internationally. He was a founder of Anvil Mining Ltd (DRC) and on its board for seven years until 2000. He was also a founder and non executive director of Incremental Petroleum Limited, an oil and gas producer with operations in Turkey and the USA. He is a non-executive director and founder of Mawson West Ltd, a Toronto Stock Exchange (TSX:MWE) listed copper miner operating in Africa, and its associated group company, Orrex Resources Ltd. Mark is also a non executive director of Incremental Oil and Gas Ltd, (ASX: IOG) a USA oil and gas producer. 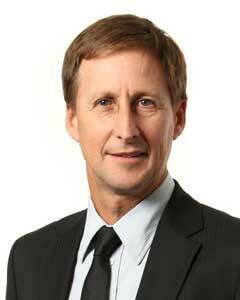 Mark is a member of the Institute of Chartered Accountants and has a Bachelor of Business degree. Mark is Chairman of the Audit Committee. 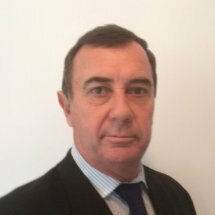 Garry is the Company’s Chief Financial Officer and Company Secretary and has over 27 years in corporate finance, financial management, accounting and commercial roles. 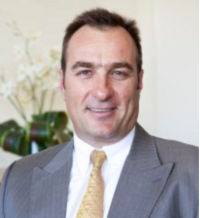 He has previously held the position of financial director of a gold mining company listed on the Zimbabwe and JSE stock exchanges and has been company secretary for a number of unlisted and listed companies on the JSE and London Stock Exchanges as well as ASX listed companies since immigrating to Australia in 2008. Garry has a BCom Accounting from University of Pietermaritzburg, South Africa. Matthew has over 14 years of experience in the resource industry in the across a broad range of commodities including precious metals, industrials and bulk commodities. He has worked for a range of companies operating in the Asia Pacific region and most recently held the role of Chief Financial Officer at ASX-listed Kingsrose Mining Limited, with gold operations in Indonesia. Matthew is a Chartered Accountant with relevant industry experience on a range of financing transactions across debt and equity markets. He also brings specialist knowledge in the areas of international taxation, corporate structuring, accounting and corporate governance. Matthew previously held the role of Company Secretary at Straits Resources Limited and currently serves as Chief Financial Officer and Company Secretary of Geopacific Resources Limited.